What Are the Different Types of Economic Analysis Software? Economic analysis software is primarily used for business analysis. Economic analysis involves looking at statistics and market data. Financial and business professionals perform economic analysis in order to gain a better understanding of how investment and business strategies might affect the business environments around them. They sometimes also perform economic analysis to learn about the health of economies in specific regions, markets, or industries. Many kinds of economic analysis software provide users with the ability to watch as markets change based on factors such as governmental policy, sociopolitical events, and economic indicators, such as gains and losses in commodity markets. 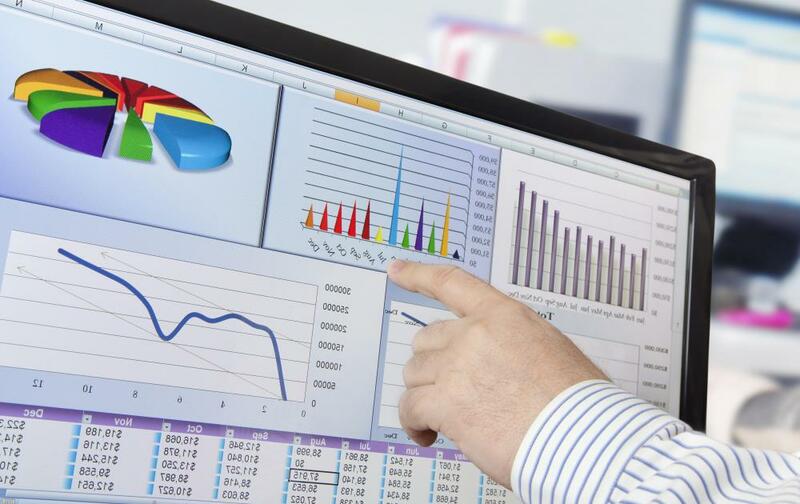 It is also common for economic analysis software to provide users with professional forecasts and analysis so they can make informed decisions regarding business strategy and financial investment. Business analysis is a primary use of economic analysis software. A high level executive or manager who is responsible for strategic planning might use software to learn how best to grow his or her company. For example, if a planner is considering moving into a new market, he or she can use economic analysis software to learn how other similar companies are performing in that market. A planner can access data regarding their gains and losses and their levels of success with consumers from certain income brackets. Many financial managers and executives use economic analysis software to perform risk management. Individuals who perform risk management seek to understand the chances of unwanted events occurring. They also want to know how they can minimize the amount of damage they suffer when unfortunate events do occur. With the right kind of economic analysis software, these professionals can receive real time updates regarding events that affect an economic environment. They also can learn how experts expect certain financial and business interests might be impacted by events. Business professionals who have more localized interests can use economic analysis software that allows them access to data regarding their specific regions and surrounding areas. This software commonly provides users with data regarding spending in their areas, as well as posted gains and losses of businesses that are directly related to their own success. Users of this kind of software seek to predict how much profit they will be able to count on at a specific location and levels of employment they can realistically maintain. Some kinds of economic analysis software are designed for professionals who are interested in using the most cost effective environmentally sustainable processes. This software allows them to compare different strategies based on how they might affect air and water quality. Professionals who use this kind of software commonly work in industries such as manufacturing and construction. What Is Economic Value Analysis? How Do I Choose the Best Books on Technical Analysis? What Are the Different Types of Technical Analysis Software?